Welcome to Blevins’ American Bulldogs. We’re not a big kennel, but a home located in central North-Carolina. 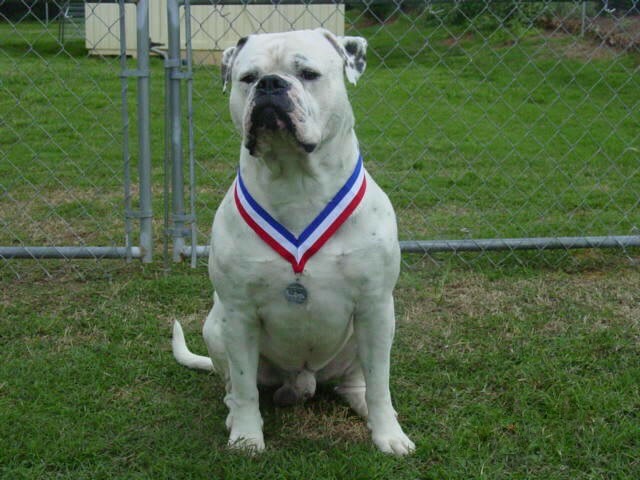 Our goal is to breed quality working & family American Bulldogs. Our dogs’ hips are certified and temperament tested before we consider breeding them. We care for the health of our dogs. We are very proud of the accomplishments our dogs have earned. We would like to thank you for visiting our site. If you have any questions or just want to talk about bulldogs, head on over to our contact page - we would love to hear from you.